Rally dos Sertões: Top 10 cars mixed after hardest stage - Spinelli still leader. 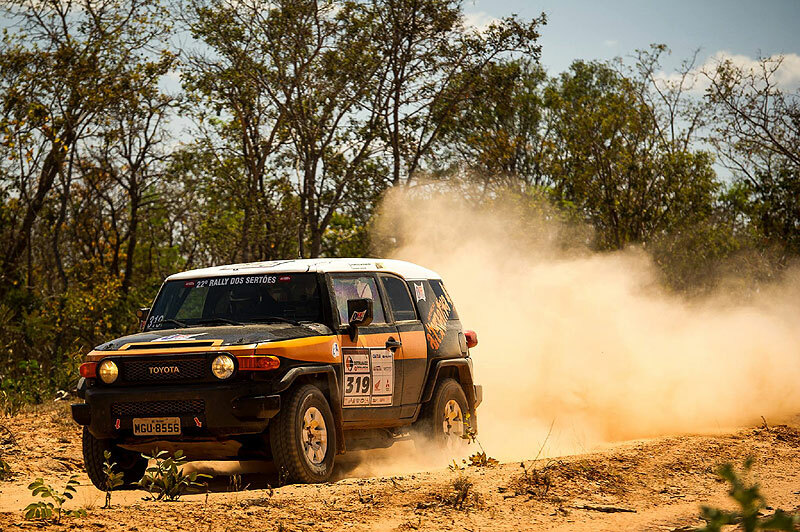 A special test with 363.85 km marked the fourth stage of the 22th edition of the "Rally dos Sertões", on Wednesday (27th), between the cities of Paracatu and São Francisco in Minas Gerais State. Competitors had a tough day and a lot of them didn´t complet the stage within the time limit of 06:30:00 hours. For many teams the day was really tough - and so it´s no surprise that there were many changes in the cars top 10. The duo Divino Fogão Rally Team Reinaldo Varela / Gustavo Gugelmin (Overdrive Toyota Hilux) won again with the time of 03:52:43 - their third win in four specials. 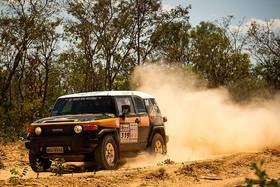 Guilherme Spinelli and Youssef Haddad (Mitsubishi ASX Petrobras) finished just 27 seconds behind them - and remain in the overall leadership, with 09:10:27 hours. 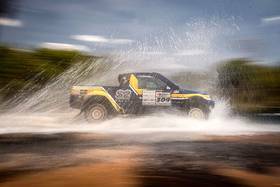 The NWM Ford Ranger crew Cristian Baumgart and Beco Andreotti (X Rally Team) finished third and are the first runners-up in the overall standings. "Today we had problems to solve. As we were the first car in a long special, we took many UTVs, motorcycles and quads in the course. But it´s normal in a dispute," said Reinaldo Varela after the stage. Of the 45 cars entered in the Sertões in 2014, 43 were on the special stage this Wednesday and only 32 arrived within the time limit. 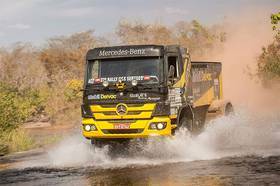 For the "Giants of the Rally", the trucks, the special test was reduced, ending at the 278 km. Edu Piano / Solon Mendes / Antonio Carlos de Sales (Ford F4000) won again with a time of 02:09:22 hours in front of the second Ford F4000 of Bragante / Bautz / Corder (BRA) and the only "non-Ford", the crew of Guido Salvini / Flavio Bisi / Fernando Chwaigert with their Mercedes Atego. In the quads category, which had 13 competitors in the field, the rivalry Brazil vs Poland increases. The Polish Rafal Sonik (Sonik Team) arrived ahead, but received a penalty of 16 minutes for not stop in the refueling area. Marcelo Medeiros (Taguatur Racing) won the stage and the overall leadership (10:56:32), followed by Robert Nahas (RNN Sports). Only nine quads completed the special within the time limit. 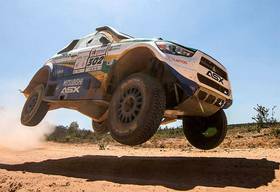 In the SSV/UTV class, five time champion on bikes, José Hélio and the co-driver Edmilson Rodrigues (Polaris Racing) won the stage, the second win in this rally, with the time of 05:03:43 hours. 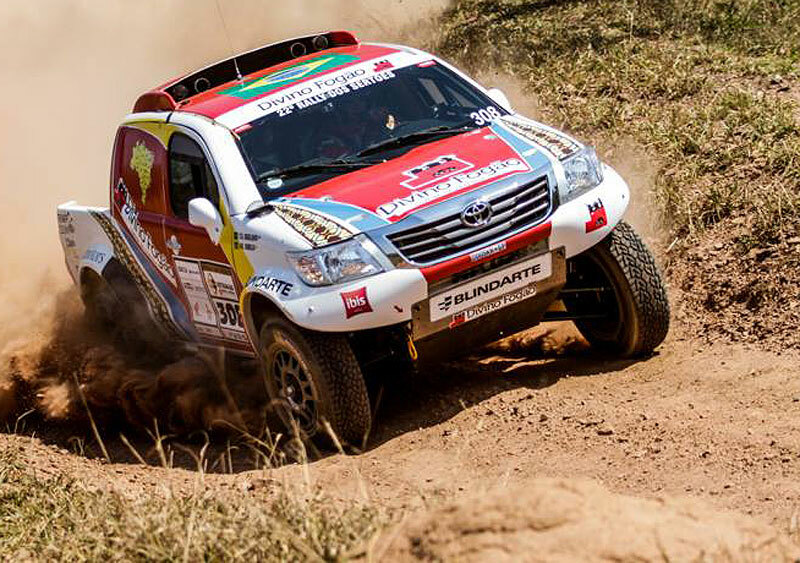 Rodrigo Varela / João Arena (Divino Fogão Rally Team) were the first runners up and Vinicius Mota / Rafael Shimuk (Taguatur Racing) finished in third place. With this result, Zé Hélio and Camargo took the lead in the overall (11h12min18s). On Thursday (28th), the competitors depart towards Diamantina (Minas Gerais State) in the dispute of the 5th stage of the Rally dos Sertões 2014. There will be 645.44 km in total on the fifth day (223,57 km of initial liaison, 335.98 km of special and 85,89 km of final liaison). It will be the marathon stage, where, at the end, they may not receive external mechanical assistance. Between Goiânia and Belo Horizonte, Sertões will go through five more cities. Three will host the rally for the first time: Catalão, Paracatu and São Francisco. Caldas Novas and Diamantina complete the route.